A Comprehensive Eye Examination will include a visual assessment, prescription measurement and a full assessment of your ocular health. You have the option of including a digital retinal photograph which images the back of the eye. We accept walk-in emergency patients. 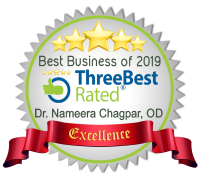 Our doctors can help diagnose and treat your eye condition in a timely manner. 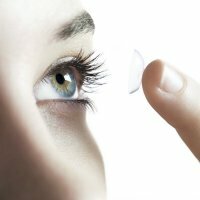 Ask our staff about contact lenses. 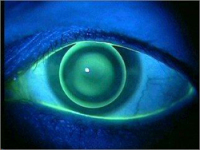 Advances in the field have produced a variety of options including multifocal and coloured contact lenses. Our optometrists will discuss the various options with you to determine which type of contact lens will best fit your needs and lifestyle. 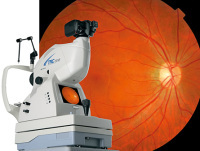 Optical Coherence Tomography allows imaging of the back of the eye through the pupil using safe laser technology. It allows us to see the ten layers of the retina similar to an MRI. 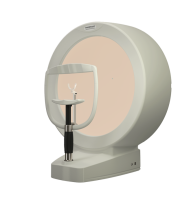 It is used to diagnose and monitor conditions such as macular degeneration, retinopathy and glaucoma. A photograph of the retina is helpful in diagnosing and managing certain conditions of the eye. This service is offered as a part of your comprehensive eye exam and uses a digital camera to capture an image of the back of your eye. 80% of learning is visual, so an eye examination is an important part of preparing your child for success at school. We use specialized tests to examine children as young as 6 months old. Children 19 years and younger are covered by OHIP for annual eye examinations. Stop by for a complimentary frame adjustment, nose pads repair or cleaning. 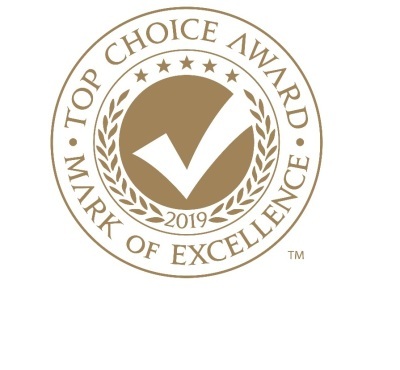 If you need help finding the perfect frame, we can assist in selecting a frame that fits you and will work well with your eyeglass prescription. Are you interested in surgery to eliminate the need for glasses and contact lenses? Our optometrists can examine your eyes to determine if you may be a good candidate for LASIK surgery. Visual field testing assesses the peripheral vision. It can be used to diagnose certain eye conditions including glaucoma and neurological conditions. A corneal topographer measures the curvature and shape of the front surface of the eye and produces a detailed visual map. It can detect irregularities in the cornea ranging from mild astigmastism to diseases such as, keratoconus or dry eye disease. It is also used for fitting speciality lenses such as ortho-k, to optimize the fit and of the lenses and monitor the progress of vision correction. Conditions such as high astigmatism, keratoconus, irregular corneas or severe dry eye can benefit from specialty scleral contact lenses. Every eye is shaped uniquely. Our optometrists will fit a scleral lens that specifically shaped to fit onto your eye to ensure comfortable, clear vision. Our doctors offer orthokeratology for myopia control in children. These specialty contact lenses are worn at night while sleeping and gently reshape the cornea to correct nearsightedness. They have been shown to be effective at slowing the progression of myopia.